James Hawkins was the fifth child of 10 and the second son of three born to Daniel and Pearlie Hawkins, on Aug. 3, 1946, at San Francisco General Hospital. During his formative years through young adulthood, he resided in the Southeast sector of San Francisco, attending the public schools in that area. James developed a good sense of direction at a young age. At 7 years old, he was left at the Golden Gate Park while on a field trip with the Recreation Center and found his way home all by himself by nightfall. His family was very active at the Double Rock Baptist Church, which in his young years worshiped in a recreation center, and his father helped build this church where his memorial is now being held and would bring James with him often to help out. James liked sports and participated in all that were offered at the local recreation centers and did well at whatever sport he played. He joined teams at various centers, not just one in particular. He also played baseball with the Presley Hudson Giants. The teams he belonged to were Citywide Champions and he had the medals and trophies to prove it. When James hit puberty, he adopted the nickname “Hawk” and became even more popular with the girls. The house phone rang more for him than anybody else in his large household. His father often complained. During this time, Hawk joined the social club called the Egyptians. This made for clashes with social clubs from other communities and introduced Hawk and many of his associates to the criminal justice system. After quite a few visits at CYA, Hawk was sent to a youth camp way out in the middle of nothing but nature. So far out in nature, no guards were needed to keep the inmates on the facility grounds. The wild animals living in the mountains surrounding the camp took care of that. While there, he asked for Atra SkinTone Cream and hair straightening cream to be in his care package. He also began lifting weights to build up his physique. When he returned home, he was barely recognizable – much lighter and more muscular. Hawk and his running buddies, never having accepted the treatment they received from the local police, declared war on the SFPD as young teens. They made fake distress calls, bombarded the cops with large rocks when they responded and disappeared into the projects. The officers hired the smaller, younger children to pick up rocks on the weekends. When Hawk became too old for YGC, he would visit the Big House from time-to-time. But, when a 16-year-old boy from the community was shot and killed by the police, Hawk – just like many other young men in San Francisco – became politically and civilly active. They practiced civil disobedience in the form of a fire-causing rebellion for days and nights that caused the authorities to bring in the National Guard and declare a curfew at nightfall. Also, at that time, Hawk belonged to a group named Young Men for Action who took over a KQED-TV station studio when Casper Weinberger was a guest on a show to discuss what to do about the uprisings around the country, as it was airing. President Johnson soon thereafter called for a War on Poverty and the Model Cities Program was born. Hawk then worked with many others to improve the community. Early on, he worked with Percy Pinckney at Youth for Service and helped found Operation Clean-Up, where vacant lots in the community were cleaned up and made productive. Later, he ran for and won a seat on the Model Cities Commission and was active on various committees. His interest in sound legal representation led him to the Law and Justice Committee of the Citizens Participation Section, which brought about the creation of the Bayview Hunters Point Community Defender Program, the anchor program for the BV-HP Foundation, which just celebrated 39 years of community service. He also was active on the Joint Housing Committee that named the new streets on Hunters Point Hill after pivotal people and families of the community. There is a Hawkins Court named for the pioneering and social contributions of the family of Daniel and Pearlie. Not being an “indoor” kind of guy, Hawk chose construction as a trade to work in and did well in that field. He enjoyed the pay and independence that came with it. While working construction, however, he ran into trouble with the law, attempting to gain fair employment for others on job sites. This brought about a case that would go down in the law books, Hawkins v. Superior Court. He won the right for felons to have a preliminary hearing in the state of California. His attorney was M. Gerald Scwartzbach, Robert Blake and Steve Bingham’s lawyer. Hawk met and married a young lady from the South, Virginia Johnson. To this marriage, three children were born, two boys and one girl. That marriage unfortunately ended in divorce. Years later, Hawk reunited with a girlfriend from his past, Joyce Demus, and they married. To that union, one child was born, a girl. That marriage also ended in divorce. Hawk remained single after that. 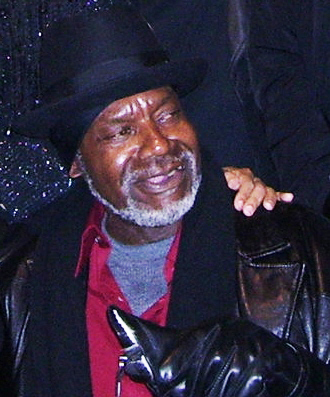 Hawk spent years as a bus driver for the San Francisco Municipal Railway. He enjoyed this job; the line he drove was always available because most drivers didn’t want to take it, but it went right through Hunters Point, so he was right at home. However, his health began to fail him. So he had to leave his job at Muni and took odd construction jobs whenever able. He was never one to make regular doctor’s visits. So his health got worse. Fortunately, his daughter Neima noticed this, tricked him and had him picked up and taken to the hospital, under his loud protest. This helped to prolong his life by a few years. Hawk always had a love for drumming and beat congas most of his life. He spent many hours in the sun, at parks, on the corner and wherever a jam session would break out, entertaining anyone who enjoyed listening. Soundz From the Ground, a drumming group formed later on, was a group he played with later in his life that drummed for the people, no matter where. On Thanksgiving, they bought dinner packages and took them to “the Corner” for those who could not make it to Glide or St. Anthony’s, fed the street people dinner and entertained them with drumming the whole day. For this, they received the Unsung Hero Award from the San Francisco Public Library. 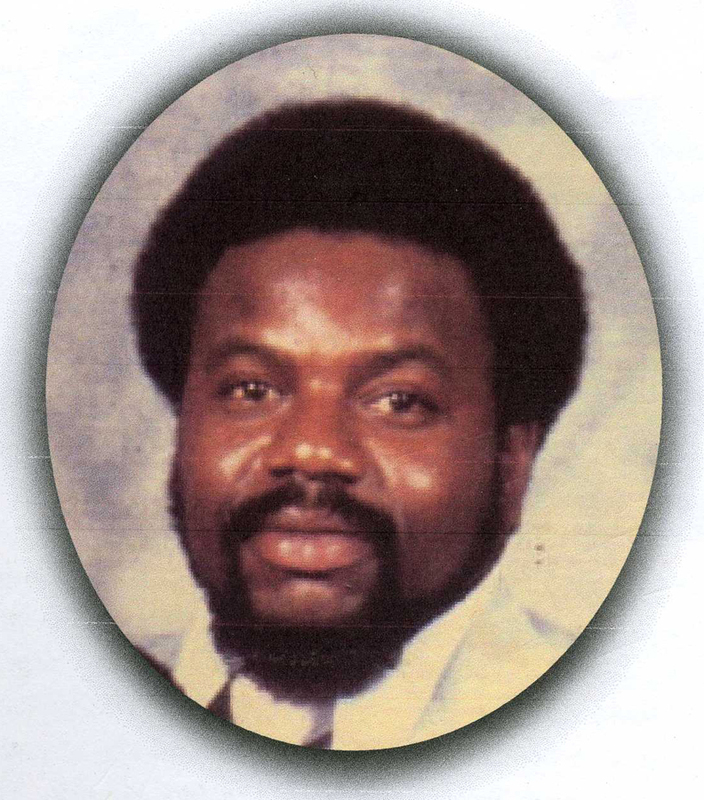 James Hawkins celebrated his 64th birthday on Aug. 3, 2010, and was called home by the Most High soon thereafter. The exact date is not known. It was determined by the San Francisco Medical Examiner that his demise was caused by a heart attack. Preceding him in death were his parents, Daniel and Pearlie Hawkins, and Bop, his beloved dog and buddy. Hawk leaves to remember his colorful life his children: Laron, Kenya (Malika), James Kwabini (Sabrina), Chameca and Niema; nine siblings: Ligaya Littledeer Cook (Jodie), Martha Hawkins-Yancey, Daniel Hawkins IV, Shirley Hawkins-Turner, Cati Hawkins-Okorie, Rev. Cordell L. Hawkins, Tiana M. Hawkins, Colleen Hawkins-Benjamin (Clarence) and Pearline Hawkins-Williams; three aunts: Hazel Wilson, Tommye C. Isom (Hugh) and Ethel Bailey; grandchildren: Elisha, Kenya, Ken, Donjae, Jaylen, Jasmine and Jamesha Hawkins, Janiya and Jaliyah Bankhead, Manieyah and Jamir Pulliam, and Dominique and Raymond Williams; great grandchild Jaliyah Arrington; a host of nieces, nephews, cousins, relatives and friends. I want looking at and I have a baby this web site got some truly functional things about it! .